On Tuesday 17 April the Centre for Public Law hosted The Honourable Sébastien Grammond speaking on the topic "Natural resources, governance and identity: the role of law and courts in the reconciliation process with Canada’s Indigenous Peoples". Sébastien Grammond was appointed to the Federal Court on November 9, 2017. Prior to his appointment, he had been professor and dean of the Civil Law Section of the University of Ottawa. His research dealt with the legal recognition of Indigenous identity, Indigenous legal systems and contractual justice. He is the author or co-author of six books and numerous articles about Aboriginal law, constitutional law and contracts, including Identity Captured by Law: Membership in Canada’s Indigenous Peoples and Linguistic Minorities (2009), Terms of Coexistence: Indigenous Peoples and Canadian Law) (2013 and Quebec Contract Law (2nd ed., 2016). 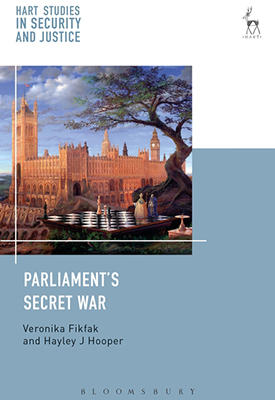 The Centre for Public Law celebrated the publication of Parliament's Secret War by Veronika Fikfak and Hayley Hooper. Sebastian Payne (University of Kent). The discussion was chaired by Professor David Feldman. The Ministry of Justice announced a public consultation into the law, policy and procedure relating to parole with a closing date of 28 July. The purpose of this conference was to engage in discussions with leading figures in the field and to enrich responses to the consultation. Full details of the conference can be found on the CCCJ website. On 19 October 2018, The Rt Hon. 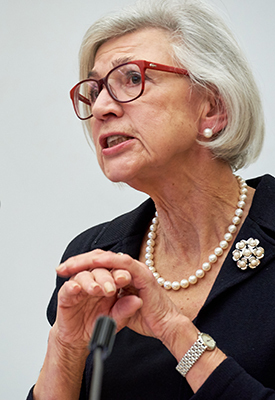 Beverley McLachlin delivered the 2018 Sir David Williams Lecture entitled "Where Are We Going? Reflections on the Rule of Law in a Dangerous World", at the Faculty of Law, University of Cambridge. On 20 October the CPL hosted a symposium organised by Dr Paul Daly, Senior Lecturer in Public Law.